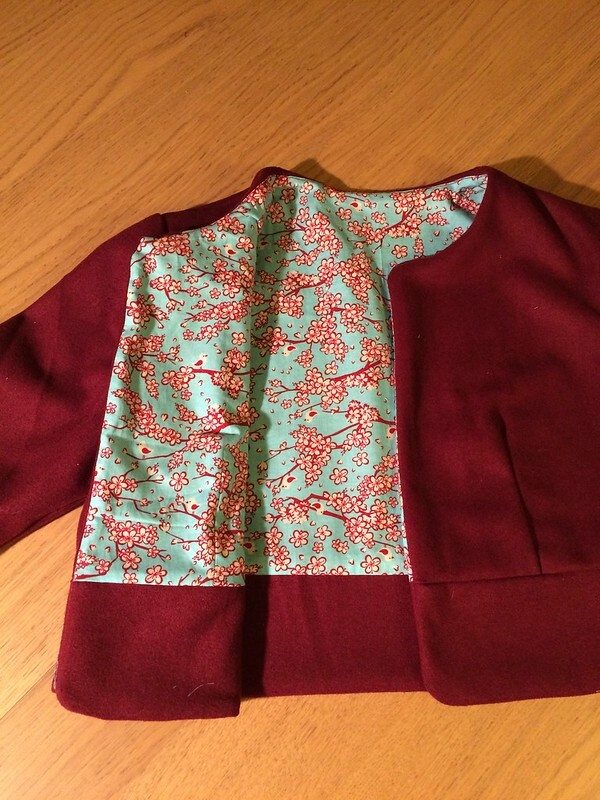 For a change, and following on from a reasonably successful last make, I decided to try something different: a jacket. I am not sure why I strayed from my usual diet of cotton dresses, but I did. 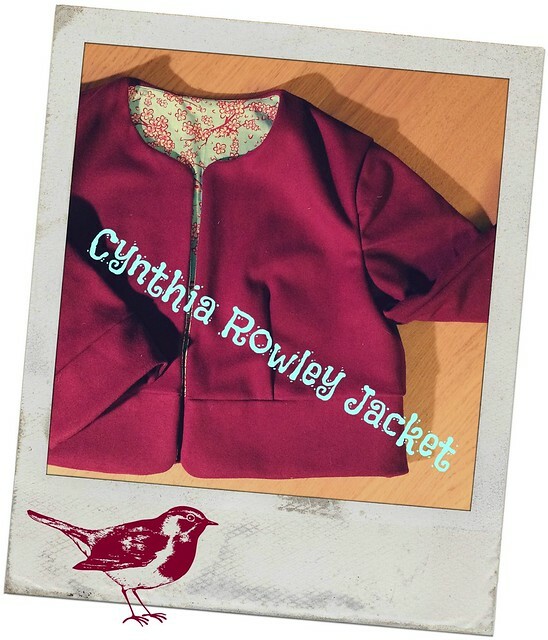 I chose a jacket from a Cynthia Rowley pattern that came free with a magazine, and two fabrics from my stash. The red wool was purchased from the Knitting and Stitching Show back in November, with the selvedge reading Noblet of England. This didn’t mean a lot to me but I liked the feel and colour. I think I bought the last two metres on the roll for £20. This make came together quickly, and I really liked how the design meant that there were no exposed seams or raw edges; it has a neat and surprisingly professional finish. There are no fastenings, although I could have added a couple of hooks and eyes if I wanted. The jacket is cropped and a different style from what I would normally wear, but it fits nicely and is comfortable. I’ve already worn it a few times to work and elsewhere. My only confession is that despite having purchased matching bias tape to finish the joins between the sleeves and jacket, I have yet to (hand) sew it on. 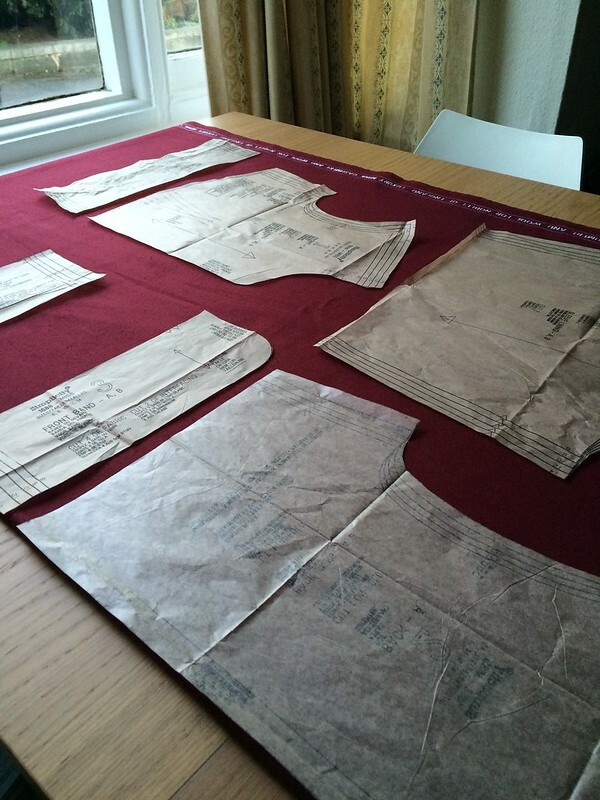 I enjoyed the process and final product so much that I have already cut out and pinned my next jacket project. Next Next post: TIP OF THE DAY! Well done on your gorgeous jacket! 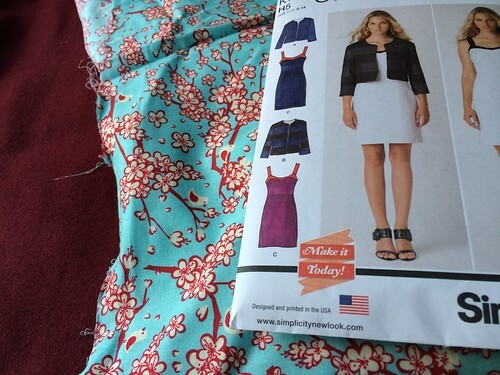 The contrast fabric is adorable and gives a really professional finish! Nice choices of fabrics. I love the colours. I like even better than its lined! Ooh! I’ve just bought this magazine today, so lovely to see one made up. Looks great, the colours work really well together.